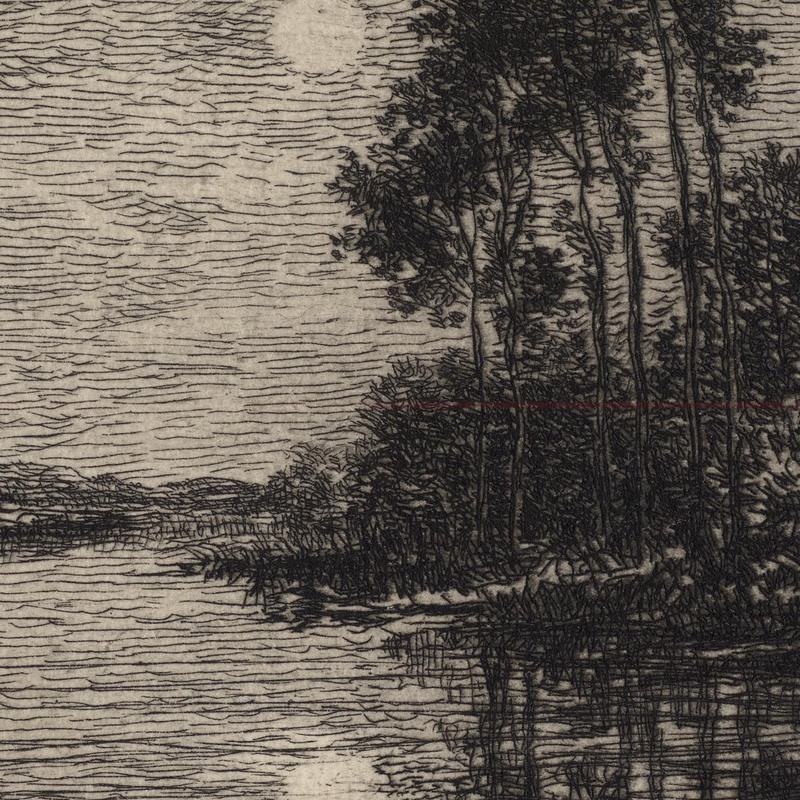 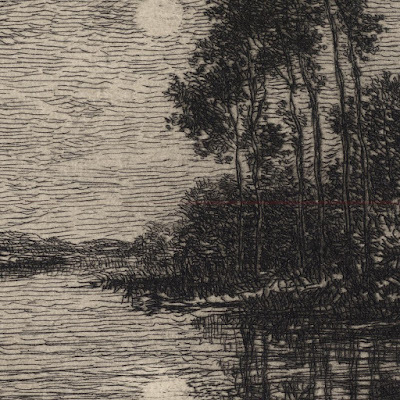 “Moonrise along the Banks of the Oise River” (aka “Lever de lune sur les bords de l’Oise”), 1875. 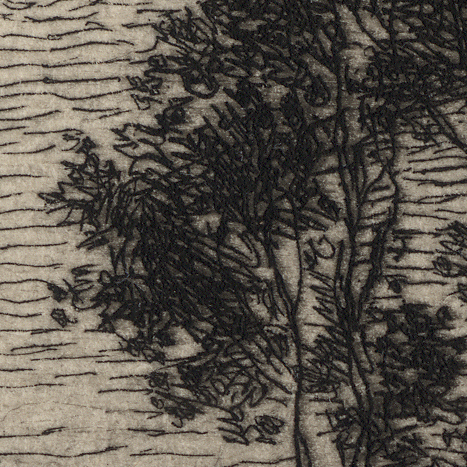 Etching with plate tone on cream laid paper with wide margins, water mark, deckle edge on left and lower edge and the dry seal of Sagot at lower right corner. 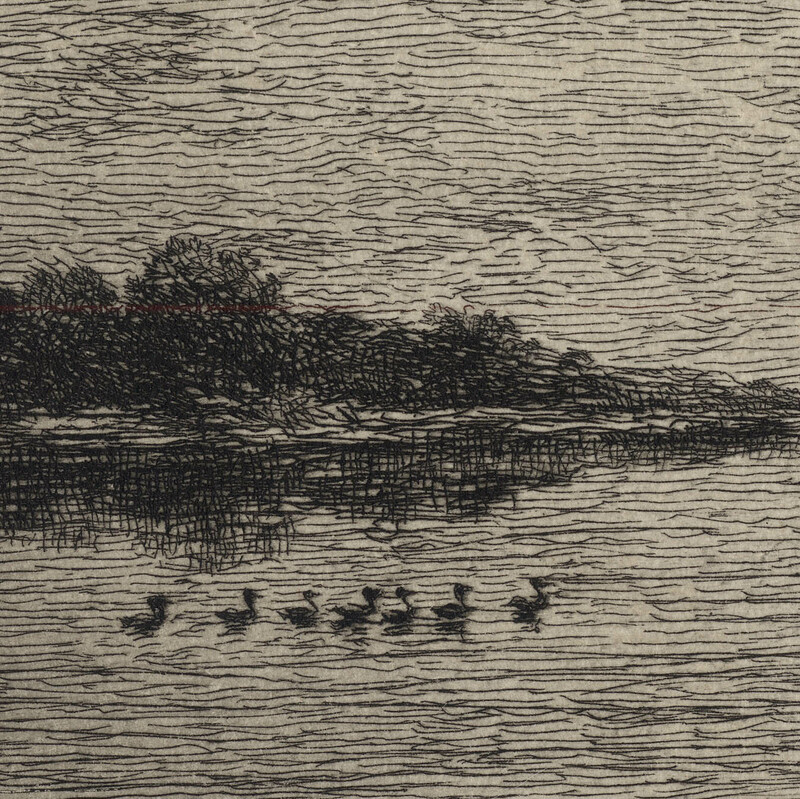 Inscribed on the plate below the image borderline: (left) “Daubigny 1875"
iv (of iv) posthumous proof published by Sagot (not documented by Melot) with the title featured in the third state erased. 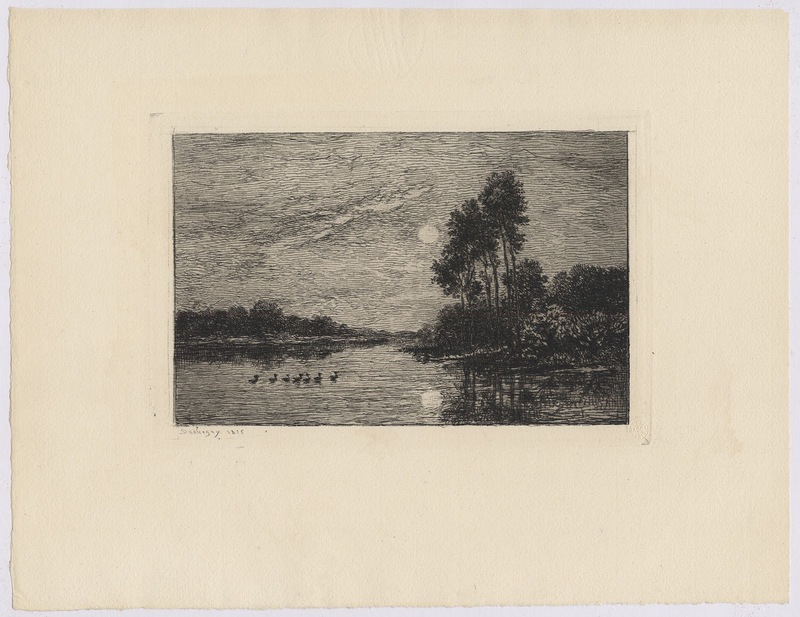 Condition: richly-inked and well-printed impression with delicate plate tone, generous margins and stamped with Sagot’s dry seal of authenticity. The sheet is in excellent/pristine condition (i.e. 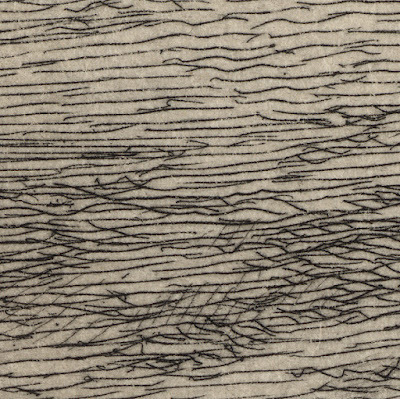 there are no tears, holes, folds, abrasions, stains or foxing). 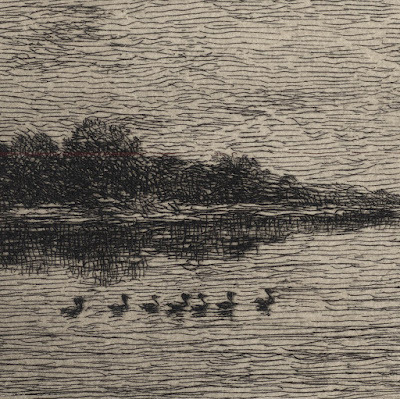 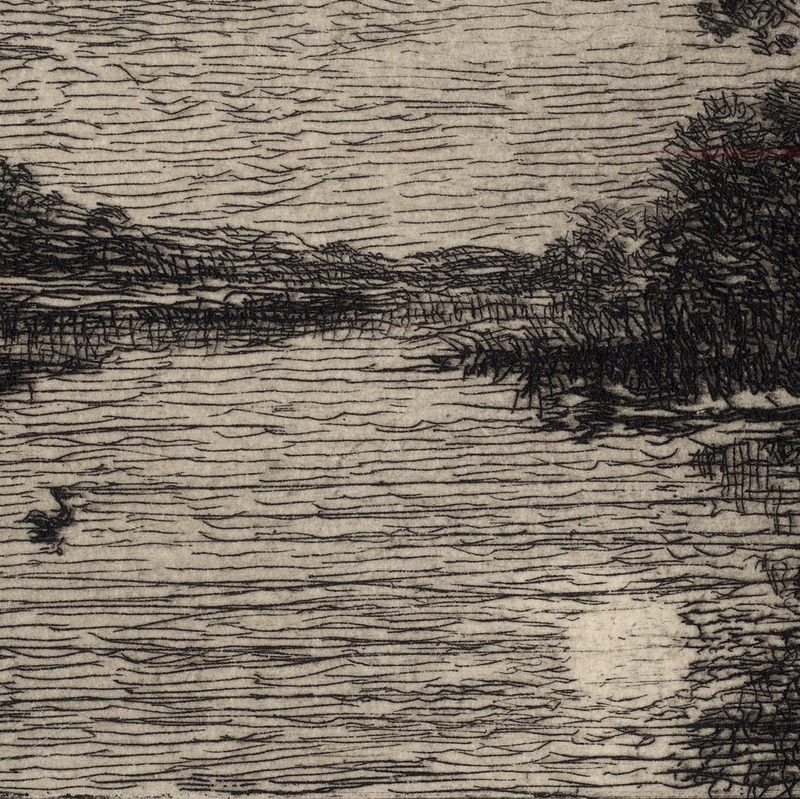 I am selling this freely drawn etching with the raft of ducks that is Daubigny’s unofficial trade mark, for the total cost of AU$196 (currently US$141.89/EUR125.07/GBP110.69 at the time of this listing) including postage and handling to anywhere in the world (but not, of course, any import duties/taxes imposed by some countries). 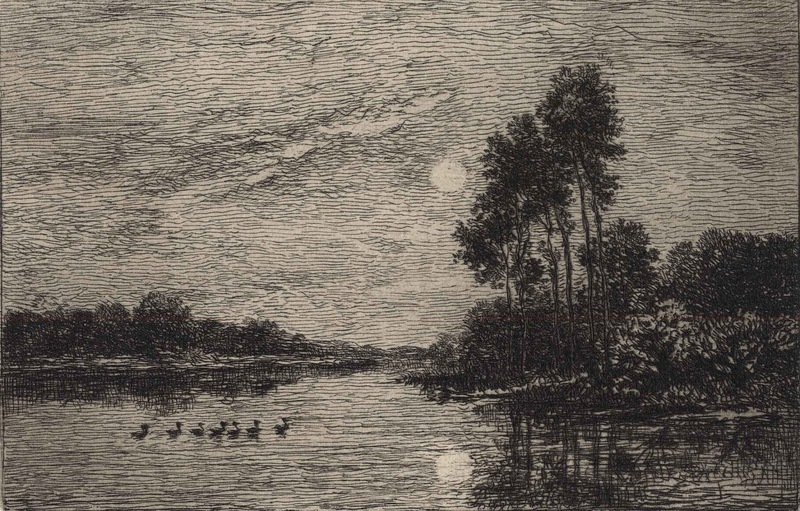 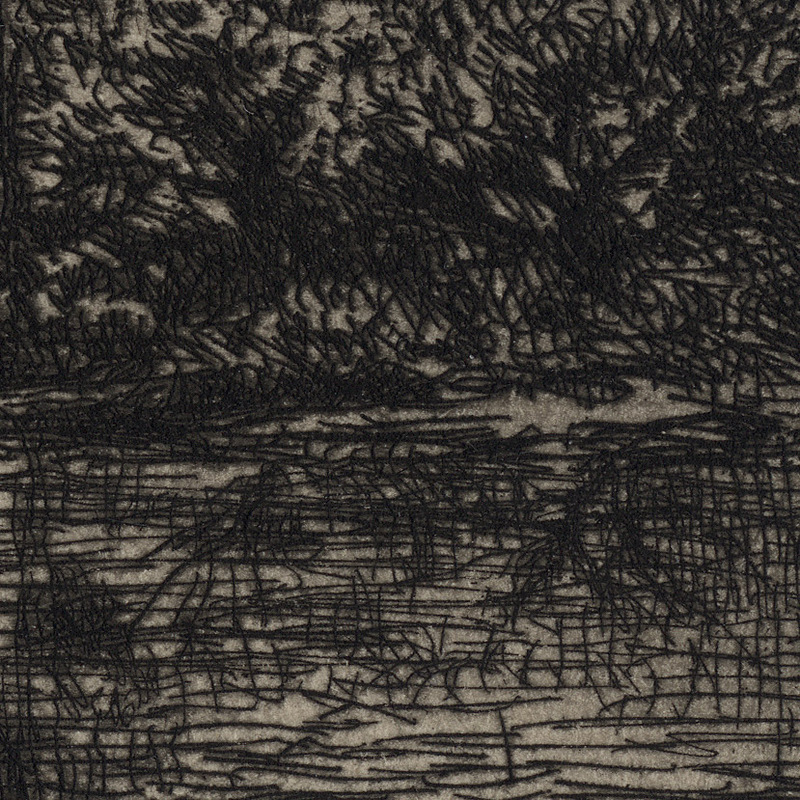 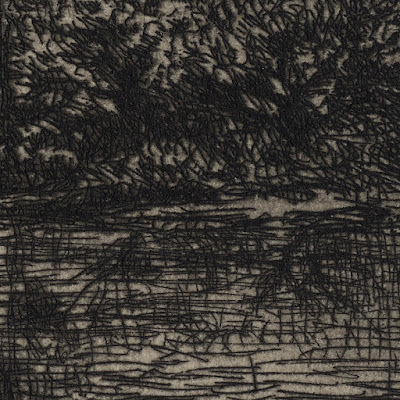 If you are interested in purchasing this exemplary etching of Daubigny's commitment to direct observation of nature and the effects of light on landscape, please contact me (oz_jim@printsandprinciples.com) and I will send you a PayPal invoice to make the payment easy.